Last week, I wrote about the elections held last Monday, by the United Nations General Assembly and Security Council, to fill 5 upcoming vacancies on the International Court of Justice As I reported, both bodies were able to agree on the election of four judges, but were unable to agree on the filling of the fifth vacancy. 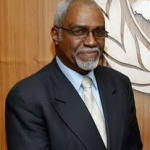 In several rounds of balloting over two days, Patrick Robinson from Jamaica (currently a Judge and former President of the International Criminal Tribunal for the former Yugoslavia) consistently received a majority in the General Assembly However, it was Susana Ruiz Cerutti, the current Legal Adviser to the Ministry of Foreign Affairs of Argentina and former Foreign Minister of that country, who obtained a majority in the Security Council. On Tuesday last week, as noted by Ambassador (and Professor)Kriangsak Kittichaisaree in his comments to my previous post , Argentina withdrew the candidacy of Susana Ruiz Cerutti. Yesterday, the General Assembly and the Security Council, again meeting separately but concurrently, elected Patrick Robinson as Judge of the ICJ. He obtained all 15 votes in the Security Council and 185 votes in the General Assembly. As previously noted by Ambassador Kittichaisaree in his comments to my previous post , the election of Judge Robinson means that 4 out of the 5 judges elected or reelected to the ICJ, in this election cycle, are or were members of the International Law Commission. By my calculation practically half of the judges of the ICJ (in its new composition starting in February 2015) will have been members off the ILC prior to election to the ICJ. Judge Robinson’s elections also adds to the growing number of ICJ judges with prior international judicial experience – a trend that I noted three years ago (here and here). Thank you for posting this update. With extensive international judicial experience, Patrick L. Lipton (Jamaica) joins Mohamed Shahabuddeen (Guyana) as the second CARICOM national to sit on the ICJ. Argentina’s decision to withdraw was motivated by the concern for the preservation of close ties between Caribbean and Latin American states– a relationship that has been forged through interactions at the OAS and the UN Special Committee on Decolonization with reference to the Malvinas Islands. Both Lipton and Shahabuddeen are graduates of the University of the West Indies (UWI) (this may be of interest to your Oxford and Cambridge readership… types in jest). -‘Small Island State’ reader of EJIL Talk. Congratulations to Judge Patrick Robinson on his election to the ICJ. He brings a wealth of international legal experience and will undoubtedly serve his term with distinction. 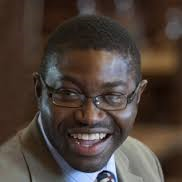 As another poster has noted, he is the second CARICOM national to be elected to the ICJ. A proud moment for the region! Does this means that when Latin America has to propose a candidate again (in 9 years?) then Argentina will have preference in selecting a candidate of its own? if that’s the case, I do not believe that the candidate will be Susana Ruiz Cerutti. I will try to touch upon several points raised in this new post and the previous ones on this matter. (1)To date, 36 ILC members have been elected to the ICJ. The ICJ bench as of 6 Feb. 2015 will comprise 7 ex-ILC members: Tomka, Xue, Gaja, Bennouna, Crawford, Gevorgian, and Robinson. (2) The next ICJ election in which a Latin American and Caribbean seat will be available is Nov. 2017 (to replace Judge Concado Trindade from Brazil whose term expires in Feb. 2018). But there is no assurance that States in that region will make way for an Argentine candidate. The only known rotation system I know is that of Australia-NZ-Canada taking turn presenting candidates for election to the ICJ and the ILC. Apart from that, there has been only one instance of a State promising not to present its candidate to compete with another State’s in an ICJ election, i.e., when Indian PM Rajiv Gandhi orally promised to Sri Lanka (after the election in 1988/1989 of India’s then Supreme Court President Pathak to the ICJ for the remaining 2 years of the term of the deceased Judge Nagendra Singh (India)) that India would not present an Indian candidate to run against Sri Lanka’s when Judge Pathak’s 2-year term expired. And India did keep that promise, allowing Sri Lanka’s Weeramantry to get elected to the ICJ to replace Judge Pathak in 1991, unopposed by any Indian candidate. (3) Re: equitable geographical representation and principal legal traditions/systems of the world, the main factor is the nationality of ICJ candidates. It does not matter where they live, were educated, or practise (international) law. – There is a tacit agreement/understanding (since the 1970’s, I think) that all the 5 permanent members of the UNSC will always be represented in the ICJ. – Japan, because of its international influence, always manages to be represented in the ICJ. As Asia currently has only 3 seats in the ICJ, there is only 1 seat left for the rest of Asia. NB: South Koreans have served as judges of the ICC, ICTY, ICTR, ITLOS, etc. (and UNSG Ban Ki-Moon is from S. Korea! ), but no S. Korean has ever become an ICJ judge because of the consideration of equitable geographical representation — all the 3 ICJ judges from Asia must not come from Northeast Asia only! Unlike Japan in Asia, no State in any other region of the world has a de facto permanent representation in the ICJ. – What is most worrisome is the widespread practice of vote swapping between States (so-called ‘reciprocal support arrangements’) in ICJ elections, as in most UN elections, whereby States promise to vote for ICJ candidates from certain States in exchange for the latter’s voting for the former’s candidate/candidature in other elections (e.g., UNSC, ILC, Human Rights Council, ECOSOC, or even the ICJ!) This means , e.g., if one State is running for a NON-permanent seat of the UNSC, it cannot realistically have a candidate for election to the ICJ if the 2 elections are not so far apart — it simply does not have enough votes to trade/swap. Sadly, this also means that States which are experienced in vote swapping have a higher chance of having their respective candidates elected to the ICJ although the candidates may not be so qualified. Besides, the more international influence a State has, the more likely its ICJ candidate will be elected although he/she may be relatively less qualified than some other ICJ candidates at the same election.